Russia’s leading companies are falling over themselves to invest abroad, striking deals from America to Africa in the last year. Russian companies have always been keen on investing overseas, but have usually held themselves to the countries of the former Soviet Union. Now, however, nervousness ahead of the upcoming elections combined with sound business practice has caused the amount being invested to soar. 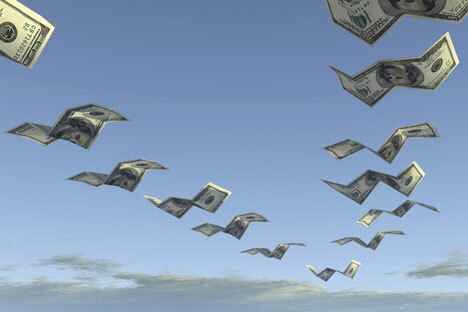 Russian companies invested $19 billion abroad during the first three months of 2011. At the same time, only $9 billion of foreign direct investment (F.D.I.) came into Russia. F.D.I. was up to $41.2 billion in 2010, but still down from 2008’s peak inflows of more than $80 billion. Analysts were additionally disappointed, since this figure was less than half of the country’s outbound F.D.I. of $19.4 billion. Russia has been plagued by capital flight. The country lost hundreds of billions of dollars to offshore havens in the 1990s, although much of that money returned once the economic boom started in 2000. Since September 2008, however, the flow of capital has once again reversed. In 2010, $35.5 billion left the country, $22.7 billion in the last quarter of the year. Those losses were followed by $21.3 billion in the first quarter of 2011, despite the clearly improving macroeconomic situation. Why is the money leaving? Clearly, domestic businessmen are nervous. In April, Deputy Economic Development Minister Andrei Klepach put on a brave face, saying that the government expects zero capital outflow over the course of the year. But in a May speech, Presidential economic advisor Arkady Dvorkovich admitted that local investors are jumpy. The power in Russia is so vertical that any potential change at the top would cause huge disruptions in how the country is run, and business doesn’t like uncertainty. Oligarchs and mini-garchs alike are salting away a little something in other jurisdictions just in case everything blows up this winter. But unlike the capital flight in the 1990s, which was simply cash put on deposit, this time Russians are buying foreign companies, and in the long run, this will actually be good for the economy. The Kremlin is in the middle of a huge P.R. campaign to improve Russia’s image and attract more F.D.I. , although Russia doesn’t need the money. The country has plenty of cash thanks to the high price of oil, but it desperately needs management skills and modern technology; F.D.I. comes with these valuable assets. It doesn’t actually matter if the investment is foreign firms investing into Russian projects or Russian companies buying foreign ones — at the end of the day, Russia still gets access to these precious resources, regardless of where they are located.